Iris Ceramica Group’s brands have always offered high tech solutions, becoming a point of reference in terms of launching new technology. The first Large-format panels were 3 meters high and 1.5 meters wide, an amazing achievement from our professionals at the time. This new architectural concept has offered to the market a new possibility, to get even larger panels from time to time. A product that offers maximum freedom and minimum restrictions. "Our commitment is to improve the environment around us!" Iris Ceramica Group's companies have developed a new production method focusing on new materials and active ingredients that could represent the group’s contribution to a sustainable environment. This production method allowed the company to manufacture ceramic flooring and ceramic wall coverings with antibacterial and antipollution agents. 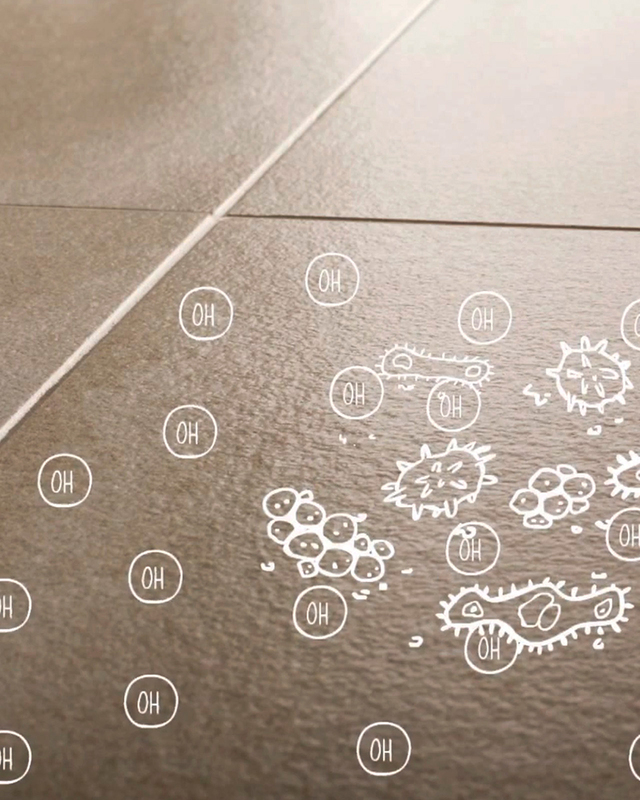 From this process of research, the product Active Clean Air & Antibacterial Ceramic™ was created. Ventilated walls are the most effective technology for addressing the issues of thermal, acoustic insulation and humidity protection against the combined action of wind and rain, neutralizing the effects of water beating on the walls and keeping the brickwork dry. A Floating Porcelain Tile System is designed to meet a range of needs in a work environment with many engineering systems. The floor surface, raised above the construction slab, creates a sub-floor which becomes a technical area for cabling and connections of all kinds and can be also used for the ducts of hot and cold air . A floating floor allows rapid, effective maintenance as the system (with no adhesives) can be uninstalled easily, without modifying any brickwork, making work quicker and reducing costs.